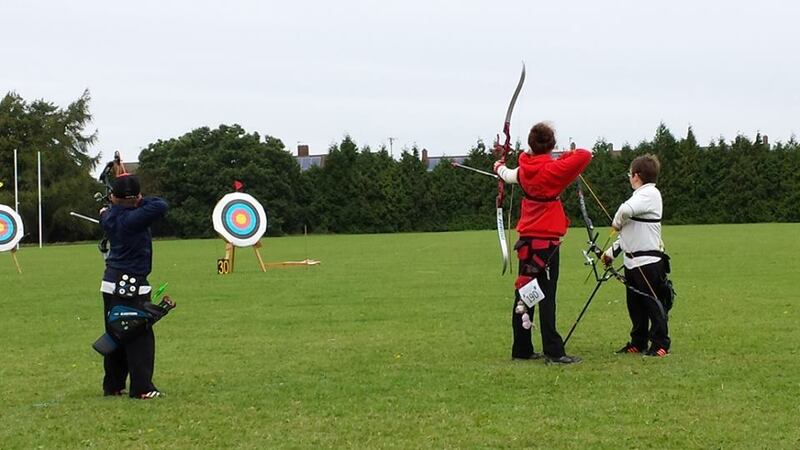 If you regularly shoot at the Westwood Academy archery sessions please note that, as the Academy is now closed for the holiday season, sessions will now take place on the field at Runwell on Tuesdays, commencing next Tuesday (22nd July) from 5.00pm to 7.00pm (possibly extended). For new adult archers, who have completed their lessons (and may not yet have acquired a bow) there will a number of “Have-a-Go” sessions arranged at the same time. Our annual Clout Shoot is to be held on Sunday 27th of July and, if you have had no experience of clout shooting, and want to get in a bit of training, there will be a training session on the Runwell shooting field next Tuesday (22nd July) at 3.00pm. The valiant senior team reconvened at Runwell for the next fixture in this year’s Albion League. Up to now, we were enjoying a run of clean sweeps: beating Ardleigh and Priory fairly comfortably. Today’s match would pit the team against a formidable foe: the mighty Mayflower – boasting an Archery GB squad member, the Juddernaut himself Michael Judd and nationally ranked, long-time backbone of the County team Ian ‘Bomber’ Harris. Crikey. Not that we were truly worried: we currently deploy some pretty amazing archers with not one but two matrimonial master partnerships (Grant and Jackie Hanan and Andy and Geri Reeves) to bolster the A-Team of Ian B, Ian M, Phil R, Grant B, Jim and of course Brian. Come the day, however, Mayflower were unfortunate not being able to field Michael and Ian due to other shooting duties and work schedules. Confidence was high, then, that we would maintain our flawless run. Scorers Grant (906 PB!) and Jackie H (856 PB! ), Ian B (846), Geri R (814 PB! ), Phil R (792 PB! ), backed by Iain M (791), Grant B (784 PB! ), and Andy R (718) , with reserves Jim (660? ), and Brian (621). Wow – 5 new personal bests in a single match! Another win for the team with some fantastic shooting. Well done all – and commiserations to our worthy opponents of the day who posted some great scores and kept us on our toes! The victors relax after the day’s shooting: brilliant team photo from Brian. 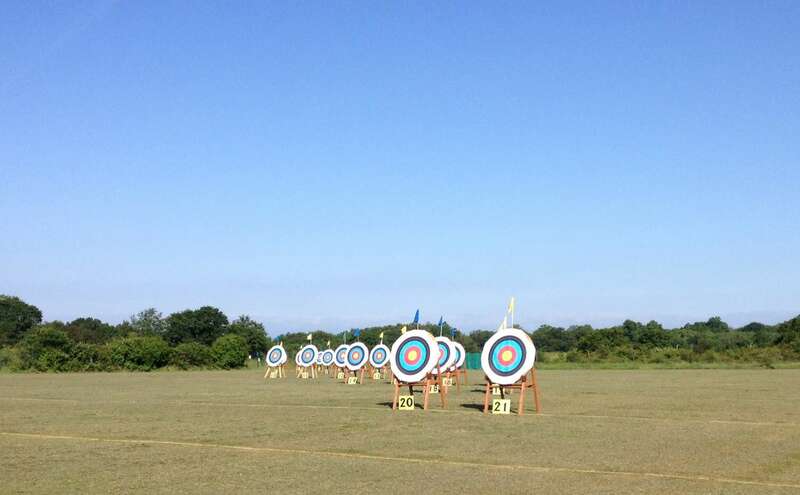 The Essex County Archery Association staged their annual summer Target Championships at the fantastic Noak Hill Archers field on the weekend of the 7/8th June. Saturday saw the massed ranks of Essex junior archers congregate under changeable weather, all determined to perform at their best for county honours. Rayleigh Town had a strong team of youngsters in attendance, as usual, with plenty of encouragement from their ever-faithful support teams! Another good day…..mixed weather with a changeable breeze, a bit of rain, a rumble pf thunder and then glorious sunshine. …Reece Johnson got gold with 1254 in the Bristol 4 compound, Lauren Bann gold in same round with 1242. Alex got gold in Bristol 3 with 1095 – first time at new distance. Jason Tomlins got gold with 1122 in Bristol 2. We won recurve team gold – Lauren, Alison Bevan and Charlie Deeks…..and retained team compound trophy – Reece, Alex and Jason. A few 242 claims going in too. Yet another haul of treasure for the club – congratulations to all the juniors for taking part! On Sunday, a smaller (yet no less strong) group of older archers joined the many competitors lined up for the Senior Championships under bright, sunny skies. Competition Manager Phil shot the Hereford round while Grant Hanan and Tim took their chances with the York. At the end of a long, hot but really enjoyable 144 arrows Phil had suffered a few misses but still made 888 points to earn a third place (well done Phil)! Grant scored 995 to place 6th and Tim shot a new PB of 1069 to take 1st place. All in all a fabulous weekend for the archers and for the club! Well done everyone! A fantastic turnout of Rayleigh Town archers gathered under clear blue skies and in warm sunshine at the 2014 Noak Hill Record Status Western shoot. 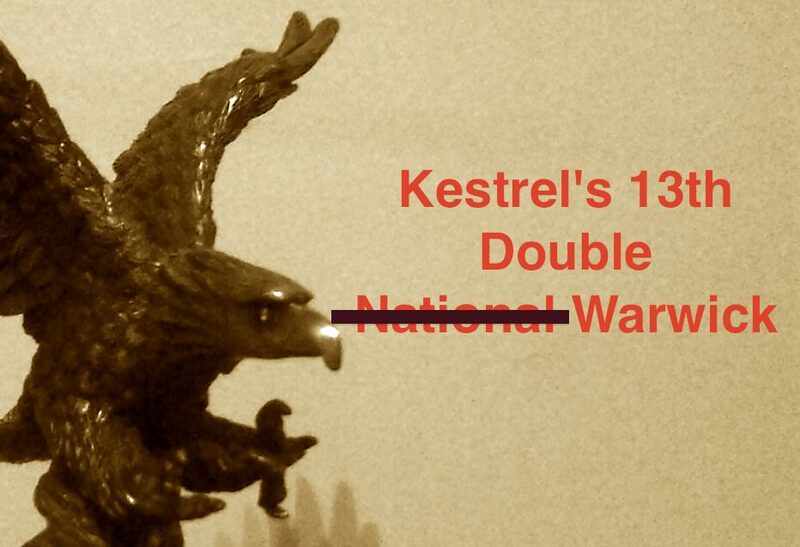 When the target lists were released mid-week we had 13 archers competing. A last minute entry from the Hanan family pushed that number to 16 – RTAC would be occupying a quarter of the entire shooting line! No surprise then that we dominated the results sheet with some brilliant performances from young and old(er) alike. Most significantly, Reece shot to a new County and UK Record claim with a score of 858 in his category of Compound Junior Boy in the Short Junior Western – a marvellous effort, dropping only 6 points from the maximum 864! Grace Tedore had some tough competition in the Junior Girl category but shot a superb 681 points – well done Grace! Moving up to the Junior Western, Alex Rowberry nailed 826 points out of a maximum 864 to claim 1st place in Compound, maintaining a great run of wins. In the Junior Western Recurve Junior Boy category, Daniel Ashenden medalled with a fine score of 726 for bronze while teammate Charlie Deeks scored 757 to take second place. Well done boys! Representing the girls in the Junior Western, Helena Milne was also a winner with a marvellous 662 points. In the Short Western, Lauren Bann scored a massive 794 points to win Junior Girl (and this after shoulder injury, ‘shooting up’ at a greater distance for her age group, and with heavy aluminium arrows too…Respect, Miss B!). The Junior Gent category is always hard-fought and deservedly won: RTAC fielded a trio of terrific target-trashers in this battle – James Ashenden scored 443, Jordan Johnson placed 4th with 623 while Luke ‘Mr Medals’ Morgan struck again to claim 2nd with a score of 638. Excellent shooting from all three. Moving up to the standard ‘Western’, Jackie ‘Binks’ Hanan was victorious again with a fabulous 782 points – all while providing al fresco catering services and coaching support to the Hanan menfolk! Well done Jackie! Alex’s dad Phil (our Competitions and Events manager) was, I think fair to say, having a tough time in his Long Western category. A sub-par performance perhaps, but still a creditable score of 548 and 5th place. Well done for toughing it out Phil. Way out in the New Western round, Grant Hanan and I were shooting against the vagaries of the mysterious headwind and tendency to over-aim at 100yds! Scoring was close: Grant put down a 658 for 2nd place while I managed 696 to win. Once again, congratulations to all the archers (and their support staff) for putting on such an impressive display today. The weather was great, the archery superb! Thanks also, of course, to Noak Hill for staging an enjoyable and smoothly-run shoot. Full results here Noak Hill Westerns 2014 (.pdf). Hopefully some more pictures will follow. The Red Ants gathered for our annual Target Championship Shoot: full report and results here. The first Andy Harris league match is scheduled for this coming Wednesday 8thJanuary. The second is to be shot on Wednesday 22nd January. The Bray 1 match this January will be shot on Sunday 12. We have a perfect record up to now, a strong turnout will keep it this way. 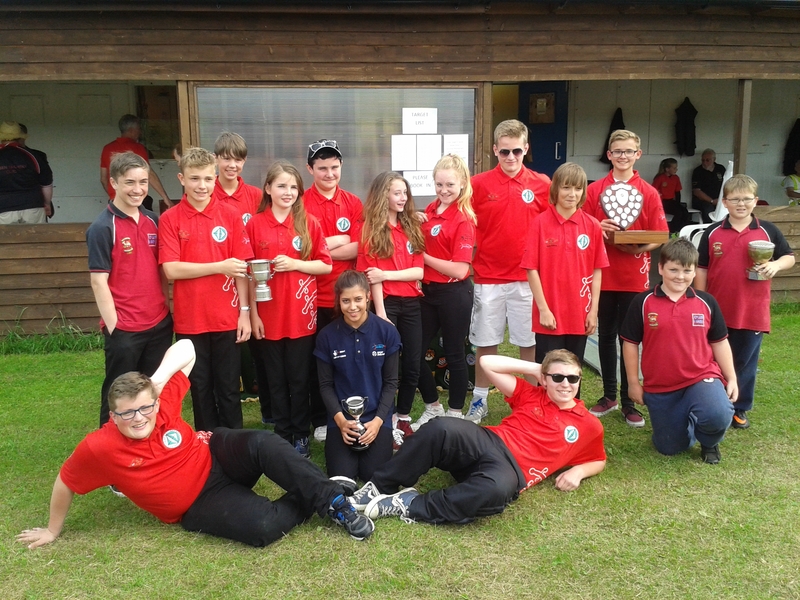 On Sunday 13th September, surely the worst shooting day of the summer season, our Juniors gathered at Kestrel’s Archery Club in Biggleswade to compete in their 13th Double National Tournament. As Josie explains, not everything went to plan…. As with most end of season outdoor tournaments, the weather was against us. The sun was out for seconds before the wind picked up and the rain hit but the red ants were out in force; Elliott, Lenni, Kayleigh and I (Josie) but must not forget the Johnson brothers, Jordan and Reece who are honorary members. The tents were up and ready for anything, which was quite lucky really. The morning session of the double national started pretty well, the wind was strong but everyone seemed to fight it. Although it was only 6 dozen it seemed to drag on. Lenni and I were shooting a short national – 50,40yds whilst the others were shooting a little bit further. The end of the morning shoot was coming to an end and just like the forecast said, the rain hit, the wind picked up. I had 4 layers on, that’s how cold it was. But lunch was soon upon us: food time! Unfortunately Lenni had eaten most of her sausage rolls in the car on way up so her lunch was smaller! 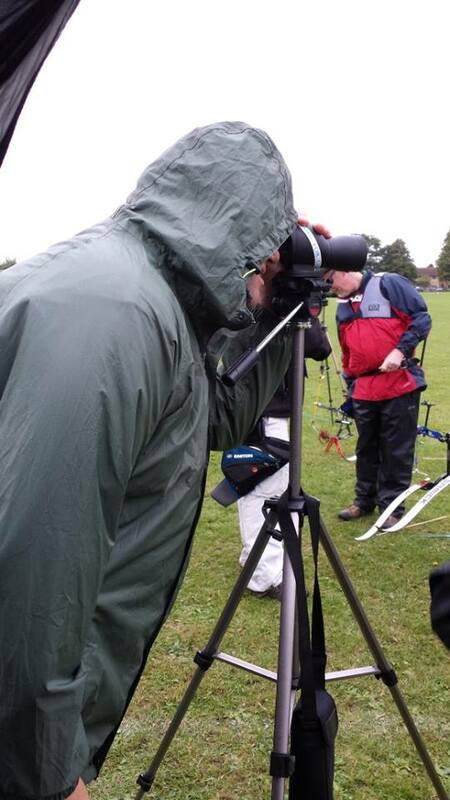 After a quick break the afternoon session started, the rain and wind had picked up and my poor tent wanted to go home. The Cracknell team decided to go home because they knew the weather was against us, so we were only down to 3 ants. It was forcing its self inwards knocking over everything in its way, including my hot chocolate! After 1 and a half dozen the judges called us over and ask if we would mind if they shorten the national to a warwick and luckily no one objected. So we didn’t have long left until we could go home. Everyone just wanted to go home, the wind was still high so naturally everyone aimed off and then it dropped. Overall I had a lovely day spending time with Lenni, Debbie and The Griffins who seemed to win a lot of chocolate at the raffle (unlike Lenni and I). Kayleigh finished in 1st place with a total score of 608 – 407 on the National and 201 on the Warwick. Elliott was only there for the first session and ended up with a score of 496. Lenni shot to 1st with a total score of 855 (523 National and 332 Warwick). Josie finished 2nd place and overall girl score with 790 (468 National and 322 Warwick). The Johnson brothers claimed 1st place, Jordan with 703 (rec) and Reece with 861(comp). Congratulation to the Juniors for toughing it out and performing so well, and to Josie for her report and pictures. 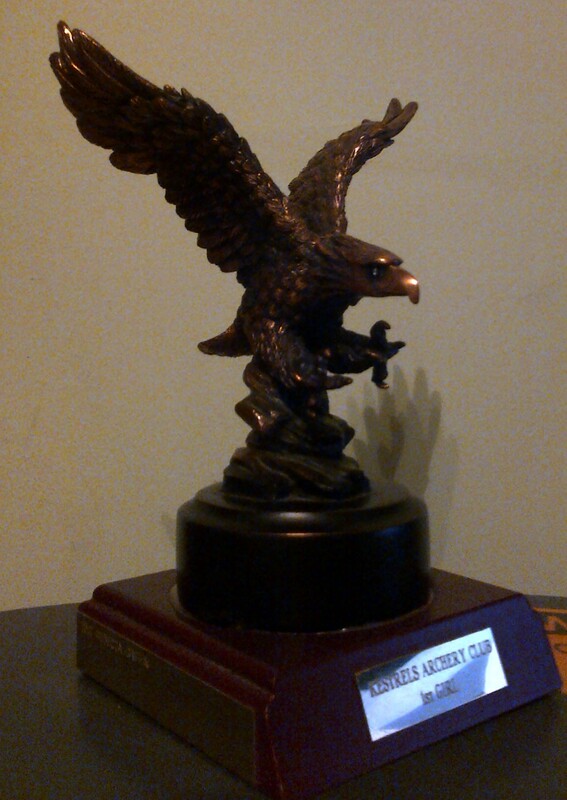 Josie was awarded this impressive trophy for taking 1st Girl honours!